Rhodiola is a small, succulent plant native to Siberia. 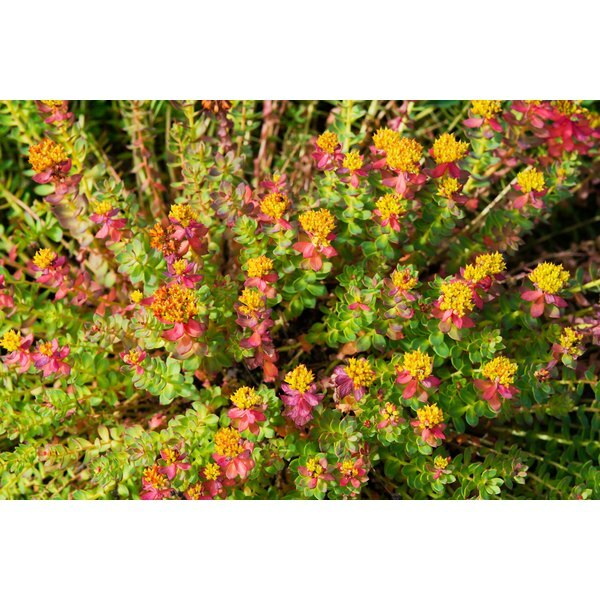 A powerful astringent, Rhodiola was traditionally used to stop bleeding. Recent investigations into the plant's pharmacology suggest that it may be useful in the treatment of fatigue, anxiety, stress and depression, although as of 2011 it had not been conclusively found effective for these conditions. The pharmacology of this herb is not well-understood, but it is possible that it may interact with a number of other drugs. If you are thinking about taking Rhodiola alongside Zoloft or any other drug, first consult with your mental health care provider. Sertraline, or Zoloft, is a psychiatric medication used for a number of conditions, including panic, anxiety, depressive, post-traumatic stress and obsessive-compulsive disorders. It is considered to be a selective serotonin re-uptake inhibitor, the same class of antidepressant drugs as Prozac and Paxil. SSRIs like Zoloft increase extra-cellular levels of the neurotransmitter serotonin in the brain. Results from starting a course of treatment with Zoloft generally take four to six weeks to manifest, which, according to scientists at Johns Hopkins may be the result the drug "rewiring" the neural structure of some regions of your brain. Rhodiola contains a complex array of psychoactive constituents which, together, may be responsible for its suggested therapeutic effects. Doses of 340 mg to 680 mg have been clinically evaluated for the treatment of depression, according to Drugs.com. While it is known that Rhodiola increases synaptic levels of both norepinephrine and serotonin in your brain, just how it does this has not been proved. Rhodiola has been found to inhibit the enzyme responsible for the metabolism and clearance of Zoloft from the bloodstream in in vitro studies, although it is not clear whether it does the same in vivo. Nonetheless, given Rhodiola's elevation of synaptic serotonin levels, it is possible to speculate that extracts of the herb may interact with selective serotonin re-uptake inhibitors such as Zoloft. As of yet, no such interactions have yet been reported, according to the Memorial Sloan-Kettering Cancer Research Center. Due to its promotion of synaptic norepinephrine levels, you may experience restlessness, irritability or insomnia if you take products containing Rhodiola. Side-effects are dose-dependent, suggesting they can be controlled by reducing the amount of Rhodiola that you take. Taking Rhodiola only at breakfast may reduce the incidence of sleep disturbance caused by this herb.